In fact, of Denmark’s 6 million people, only about 1,500 are Vietnamese. Many arrived under the same circumstances as Le’s family, who landed in the country as refugees in 1979 when she was just five years old. Growing up, Le recently told Vice’s MUNCHIES podcast, she was something of a picky eater. Fast forward a few decades and she is largely responsible for introducing Vietnamese cuisine to Denmark. Today, Le is both a cookbook author and the restaurateur behind Copenhagen’s LeLe, an upscale spot featuring modern Vietnamese techniques and flavors combined with Danish ingredients. During the 23-minute MUNCHIES podcast, Le recounts the story of her family’s first restaurant venture and her journey to connecting with Vietnamese cuisine. When she was young, Le’s parents briefly ran a Vietnamese restaurant in Nordjylland well before Danes knew about Vietnamese food. Despite its tasty food, local people weren’t yet ready to try fish sauce or dive into a pile of fresh greens. Instead, Le spent her childhood helping out at her parents’ second venture, a traditional Danish grillbar, serving up hot dogs, burgers and French fries. As an adult, the chef later traveled the world doing a handful of jobs, from au pair to flight attendant. After experiencing the many diverse cuisines of the United States, Le decided to discover her own culinary roots. Thus, in 1995, she went to Vietnam for a three-month stay. 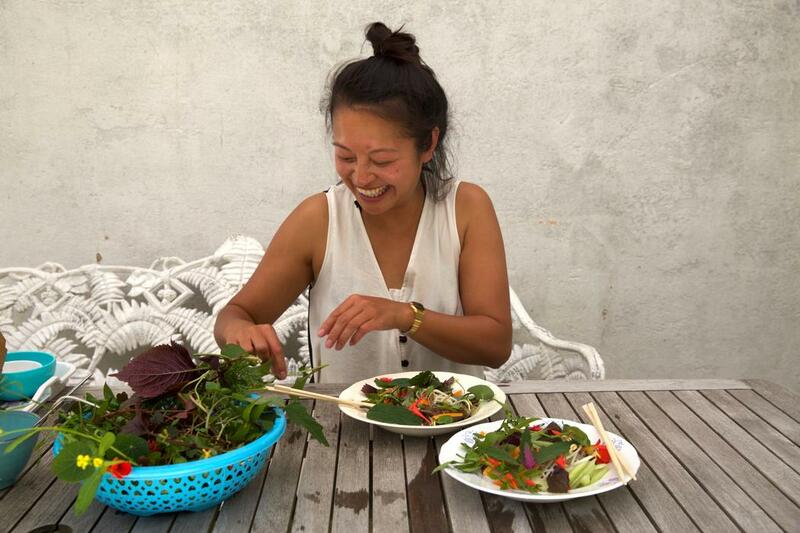 Two years later, Le returned to Denmark ready to introduce Vietnamese food to the Nordic country. The chef dove in, introducing people to Vietnamese cuisine, explaining its ingredients and schooling Danes on fish sauce. Combined with the rise of health food trends in the country, Le was able to get enough Danes on board so that today, LeLe includes not only a restaurant but four street kitchens, a catering service and a bánh mì stand.